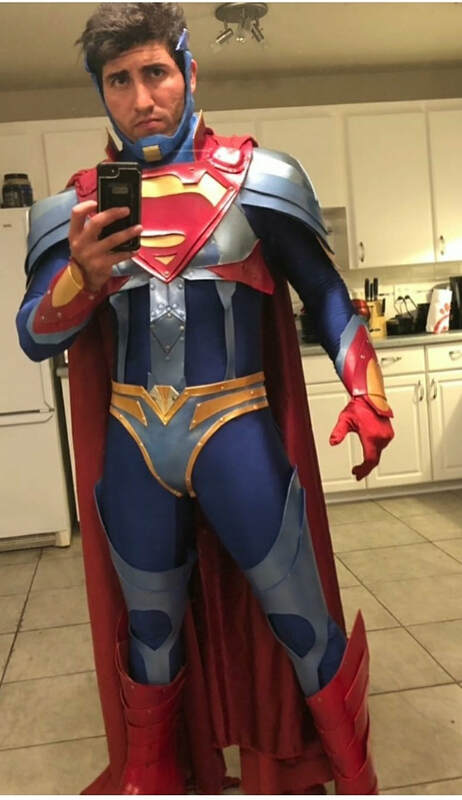 I've got at least 15 Superman costumes and people had been asking me to do Injustice Superman since the games release. I knew how elaborate the design work was and decided if I was going to do it, I was going to do it right. I decided I wanted to do it in leather and wanted to see how well I could do it. So I designed it based off a reference picture, made it functional for conventions and I am really happy with the final results. 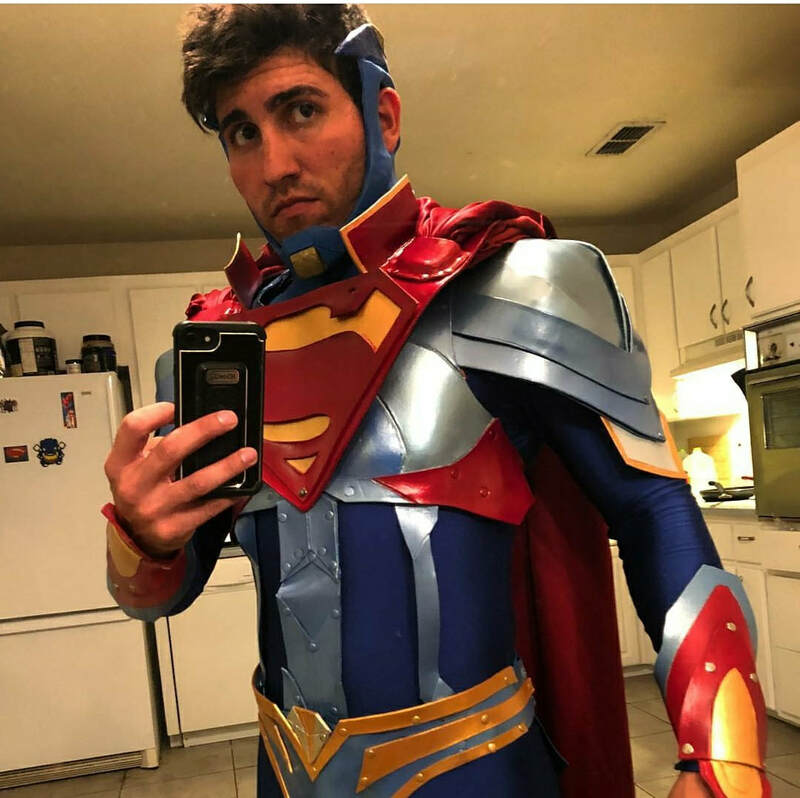 My first cosplay was a Man Of Steel Superman costume I bought off eBay. I thought it was pretty good at the time but I still had so much to learn about costuming. The best part is everyone who's been involved, asking questions and the anticipation from everyone that's been watching this build since day one. This build has been really intense and I can't wait until everyone sees this build in person because their reactions will make all the intense labour worth it. The worst part is probably the 5 lbs of water weight I'll lose from wering this full leather suit in Florida! I have so many inspirations. Most of, which our good friends, and inspire me in different ways than most people though. Scott Whipple, Zack Santiago, Mark Robards and Alyson Tabbitha are all people that motivate me and are always helping to push me to that next level with charity and cosplay. How long have you been doing this? - I've been cosplaying for about 3 years now. Superman has always been a dream character since day one for me. The fact that I am able to cosplay Superman at hospital visits and give kids the world events is literally the main reason I cosplay, and I'm so glad I have the honour of doing it. So the new Justice League Superman suit I'm building literally is cosplay goals because I'm going all out for it. I'd say it was a 9' Bahamut from Final Fantasy X at C2E2 made by Amenkitarou. It was really impressive to see it in person.